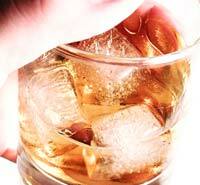 There are many theories regarding what the causes of alcoholism are. Though numerous studies have been done, the only consensus is that there is no one particular factor that predisposes alcoholism–there are many factors. Genetics may play a role. Although there have been many studies done regarding this hypothesis, none have proven conclusive. One interesting study was conducted showing that children born to alcoholic parents but adopted by others were more likely to become alcoholics, while children born to non alcoholic parents yet adopted by alcoholics were not very likely to become alcoholics. It is important to keep researching a possible genetic link. If there is a genetic link we may be able to develop medicines or therapies to correct the problem. The environment we live in always has a huge impact on what we eventually become. Most of our behaviors, healthy or unhealthy are inherited. We may learn it in our homes by living with an alcoholic parent or loved one, especially when being raised in a home where abusing alcohol is an acceptable coping mechanism. The media, including commercials, television shows, movies, music, and computer games all glorify alcohol use. In fact, those who regularly play violent video games are more likely to abuse alcohol and drugs. Rarely do the media portray the serious damage that drinking can bestow on a person’s life. Gender and age do play some role in determining alcoholism. Men are much more likely to become alcoholics than women. Actually, men have about a twenty percent risk of developing an alcohol problem while women have a ten percent risk. The earlier in life a person begins drinking the more likely they are to develop a problem with it. Although a singular definitive cause of alcoholism has not been established, we have discovered many predictors. The only real cure at this time is preventative. That is, one cannot become addicted to something one has never tried.